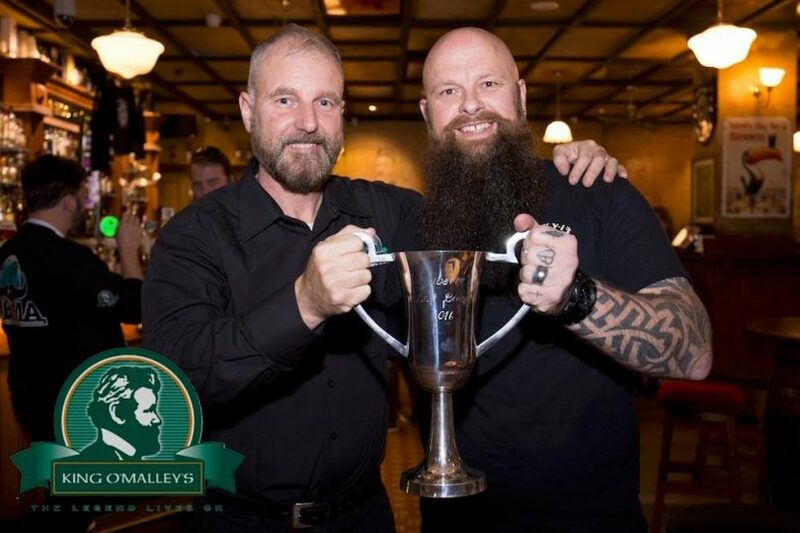 Canberra’s best beard is about to be decided at King O’Malley’s Pub on Sunday 20 August at around 2 pm. Do you know a bloke with a full or interesting beard? Then you need to tell him to get to King O’Malley’s as there are lots of prizes to be won. He might want to jazz up his beard a little as there are several categories to enter. 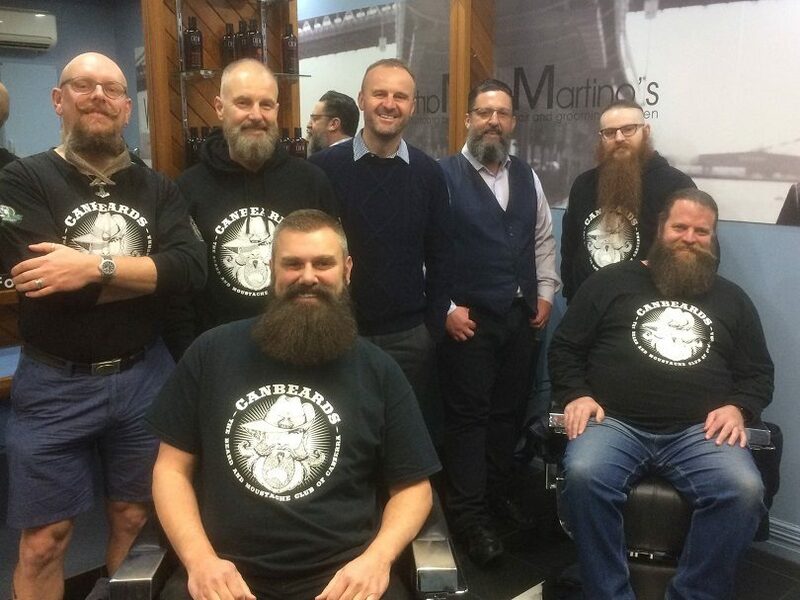 The most important category is “Grow a Winter Beard Heroes” who are also raising money for White Ribbon Australia. 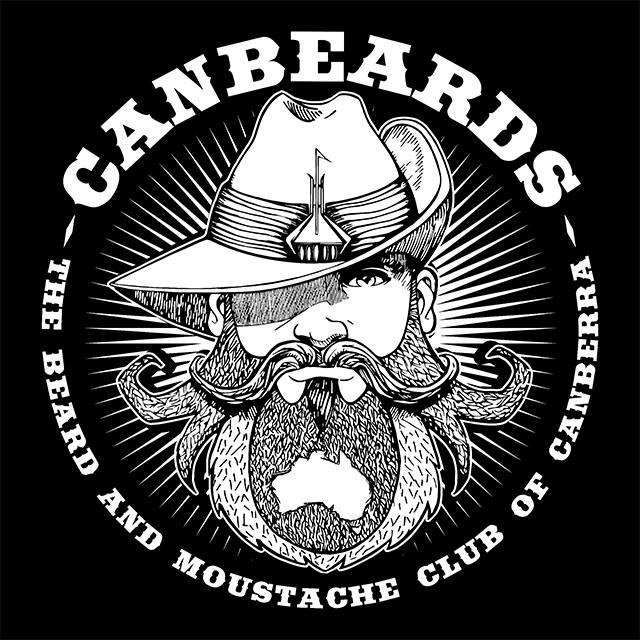 Other categories include Longest Beard; Full Beard; Styled Beard; Partial Beard; Moustache; Best Beard in costume; Best couple in costume; and the big one – Canberra’s Best Beard! Here’s a picture below of King O’Malley owner Peter Barclay awarding the trophy to the 2016 winner. 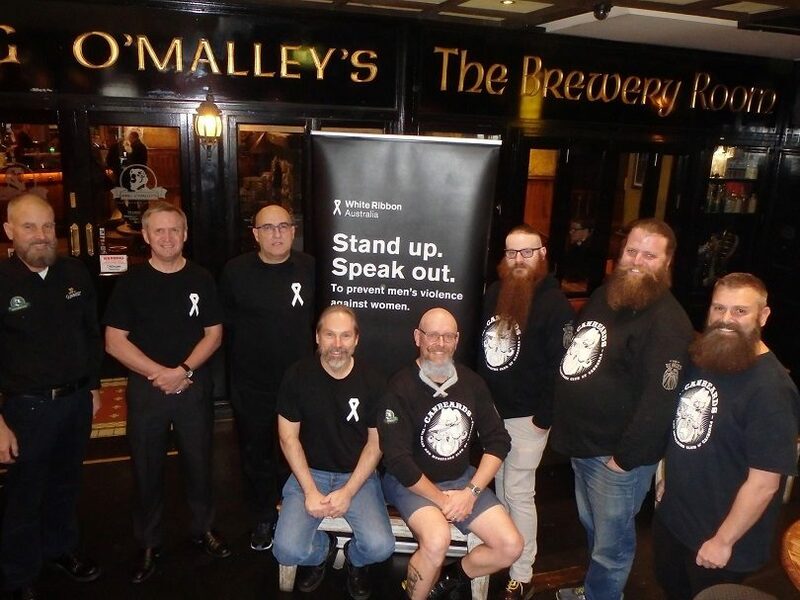 All money raised at this year’s Australian Beard Day will go towards helping White Ribbon Australia. White Ribbon is the world’s largest movement of men and boys working to end men’s violence against women and girls, promote gender equality, healthy relationships and a new vision of masculinity. White Ribbon Australia, as part of this global movement, aims to create an Australian society in which all women can live in safety, free from violence and abuse. 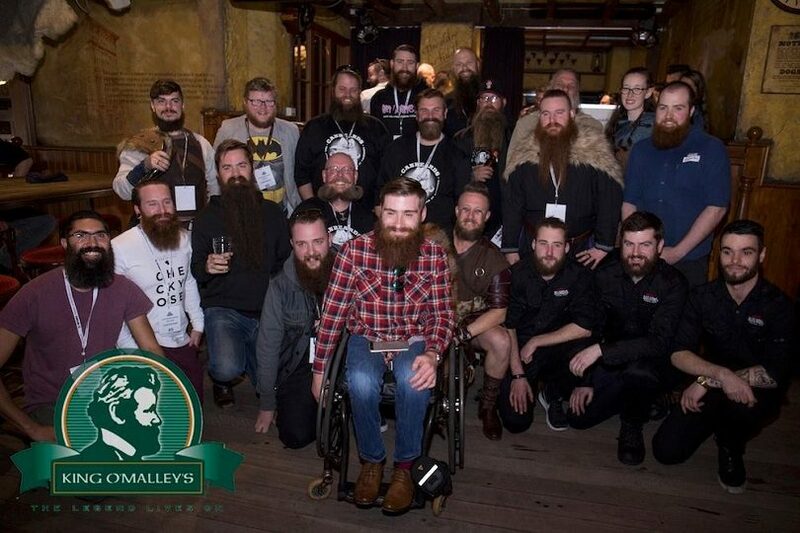 Last year’s Australian Beard Day raised over $10,000 so if you haven’t sponsored anyone yet, please go to the donation page and lend a hand for this important cause. Australian Beard Day kicks off on the morning of Sunday 20 August with gold coin entry at around 11 am. 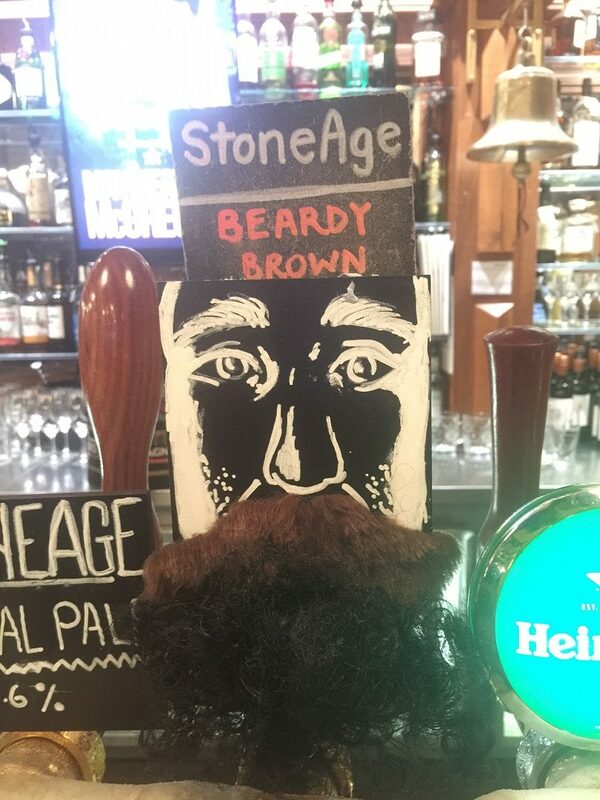 Festivities include a King O’Malley statue colouring competition for kids ($10 charge goes to White Ribbon Australia), live entertainment from 1 pm, beard-related shenanigans, a new locally-brewed special “Beardy Brown Beer” on tap, and the famous best beard comp starting at 2 pm, with great prizes to be won. Special guests will include members of the band “The Beards” who will be in town from Adelaide to assist with judging this important competition. And you never know who you’ll meet at Australian Beard Day! ACT Chief Minister Andrew Barr has been sporting some serious facial hair for a couple of years now. Although to be honest Chief, I don’t like your chances in this competition. If you’d like more information about Australian Beard Day visit the donation website. You can also follow King O’Malley’s Irish Pub on Facebook Page, Twitter, Instagram and their website. Why: To support White Ribbon Australia. If you can’t make it please visit the donation website.